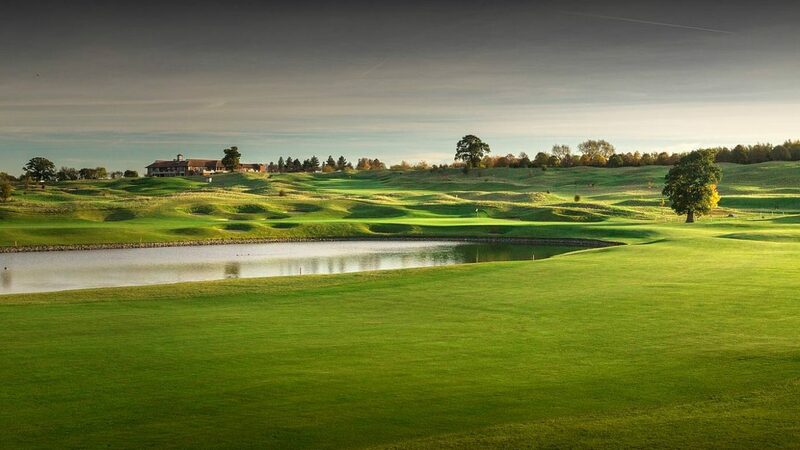 Designed by Rees Jones, The Oxfordshire is considered to be one of the most exciting courses in the country – a pristine American-style parkland course that offers the ultimate tactical challenge across water. The strategically-contoured holes blend naturally into the surrounding countryside to provide a challenging game of golf. With four lakes and 135 bunkers, the course makes full use of the terrain and the natural elements to provide characteristics similar to those of a links course. Since opening, The Oxfordshire has been host to major tournaments such as the Benson & Hedges International, the Andersen Consulting World Championships and the Ladies’ English Open, with an enviable list of winners such as Colin Montgomerie and Bernhard Langer. The Oxfordshire offers one of the finest clubhouses in the country and with a 4* hotel offering 50 luxurious bedrooms, spa and leisure complex, makes an ideal destination for a challenging game of golf and leisure break. Voted into the Top 50 places to Stay & Play in Golf Monthly Magazine 2011, as well as regularly featuring in the Top 100 courses in England. Regional finalist 2012 and 2013 in the Good Spa Awards. Winter from £40. Summer from £80. From London, leave the M40 at J7 and take A329 towards Thame. The Oxfordshire is on right-hand side of the A329, just 1.5 miles from the motorway. From Oxford, follow signs for A418 then A329 to Thame. Bar and restaurant, practice facilities, two putting greens, halfway house, six conference rooms, spa, swimming pool and fitness centre.